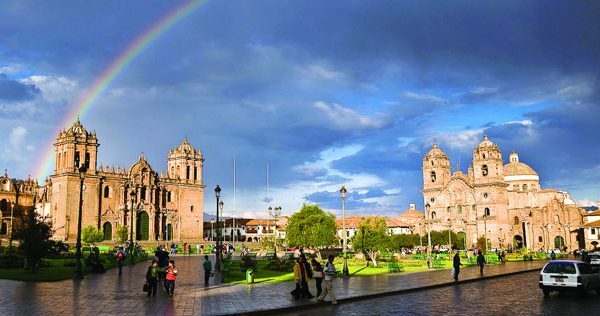 Tours in Tours: City tour Magico Cusco, Sacred Valley with overnight in hot water “machupicchu people” and the visit to the Inca city of Machu Picchu, South Zone Cusco, Tipon and Pikillacta. 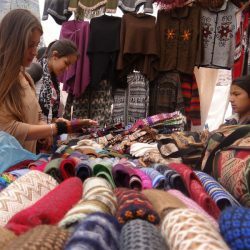 Viajes Perú, permitió que el tan ansiado viaje a la ciudad de Cuzco sea una experiencia mas que genial. Destaco entre todo la amabilidad de Henry (la persona encargada de la agencia ). Desde el momento en que nos recogió del aeropuerto , hasta la elecccion el hotel. Siempre puntual y cumplido. todo Ok . Recomiendo de sobremanera a Henry y la agencia. Ademas de ser una gran persona. ya saben Visiten Cuzco yaaaaaaaaaaaaa. A trip to enjoy the six days of pampering while traveling from Lima to Cusco through the Sacred Valley and Machu Picchu in the enigmatic with Hiram Bingham train, Zona Sur Cusco, Maras , Moray, Salt, while surrendering to the decline of spa services at the Inca Trail. Dynamic and lavish, life, experience with the nature of the Andes and explore ancient sites with charismatic local guides who will capture your imagination as a child with his stories and traditions of Peru and Machu Picchu. What is the coca leaf? Where have gone the Incas? What is Quechua, what are Pachamama and the Apus? 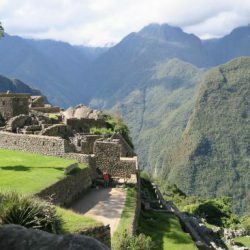 Learn, live and grow with this short but full itinerary express Cusco Machu Picchu tour. This tour is perfect for couples, families and Explorers of nature …. 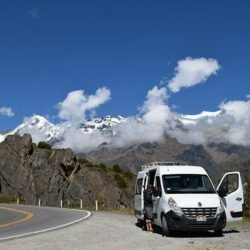 Tours in Tours: City tour Cusco, Sacred Valley of the Incas Overnight in Aguas Calientes “Machu Picchu village” and the visit to the Inca city of Machu Picchu, Cusco South Zone, Tipon and Pikillacta, Maras, Moray and Salt. √ Hotel San Agustin International. √ Hotel El Dorado San Agustin. √ Hotel Terrazas del Inca with Cusco Peru Travel. √ Inka Town Hotel in Cusco Peru Travel. √ Hatun Hotel Samay in Cusco Peru Travel. 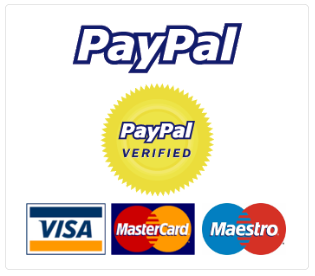 √ Hotel Green Nature Machu Picchu Travel Cusco Peru. am. Reception in Cusco and transfer to the Hotel where an aromatic coca tea to stimulating the height of Cusco will be served. 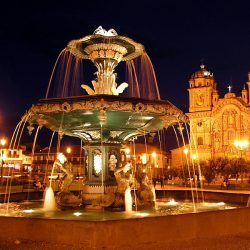 2:00 pm EXPRESS TOUR CUSCO CITY TOUR: We will visit the Temple of the Sun or Koricancha, 04 also visit the ruins near the city of Cusco, the Fortress of Sacsayhuaman, Kenko, Puca Pucara, and finally “Los Baños del Inca” Tambomachay through the Sacred Valley of the Incas, 6:30 pm Transfer back to hotel. Restful night in the hotel in Cusco. This day we will tour the “Sacred Valley of the Incas” starting the tour at 9:00 am in the morning, picking them up from the hotel to go to Pisac, where we will visit the typical market where the famous crafts fair looks and archaeological site of pisac where picturesque cultivated terraces are in the Inca mountain, then head to Urubamba where lunch and rest is taken. This day we will wake up very early and after breakfast we board the first bus 5:30 am we will travel 30 minutes getting to the Inca citadel of Machu Picchu at 6:00 am and appreciate the majestic sunrise at Machu Picchu . We will have a guided tour of 2 hours and 30 minutes to visit important places of Machu Picchu, the tour has finished time of about 04 hours more to visit Machu Picchu themselves (optional climb the mountain of Wuayanapicchu cost $ 15 USD). A convenient time desenderemos of Machu Picchu to Aguas Calientes to board our train back to Cusco, next time of arrival at 10:00 pm cusco express. 9:00 a.m.-2:30 pm visit attractions Tipon (Water Temple), Pikillacta (pre-Inca archaeological remains) and the Sistine church andahuaylillas. Free afternoon to visit the city of Cusco Express. 9:00 a.m.-2:30 pm visit attractions Moray (agricultural experimentation center), Maras (colonial village) and Maras. Free afternoon in Cusco Express. In due time we pick up from hotel and transfer to Velasco Astete airport to catch our flight back to Lima. A backpack with clothing required for the whole journey trip to Machu Picchu. Jacket or rain poncho trip. Shoes are ideal for the trek to Machu Picchu. Camera, camcorder batteries for its journey. Hats for sun protection, rain and cold. Swimwear if you want to go to the hot springs in Aguas Calientes (Machu Picchu Pueblo). Voy a hacer esta nota de agradecimiento a corto, pero podría seguir para siempre en lo que respecta a la forma perfecta nuestro reciente viaje a Israel resultó, para el crédito y duro trabajo de ustedes y Guy. Ambos proporcionan tanta atención al detalle, la flexibilidad para el cambio, y unas recomendaciones durante todo el viaje. Chico fue un partido perfecto para nosotros en términos de su personalidad, su sincero interés y la atención a lo que queríamos experimentar en el viaje, su entrega y puesta en común de sus conocimientos increíble y experiencias previas, y su preocupación por nuestro bienestar general. Fue realmente un placer ser el destinatario de su visita y sus servicios. ¡Gracias de nuevo!